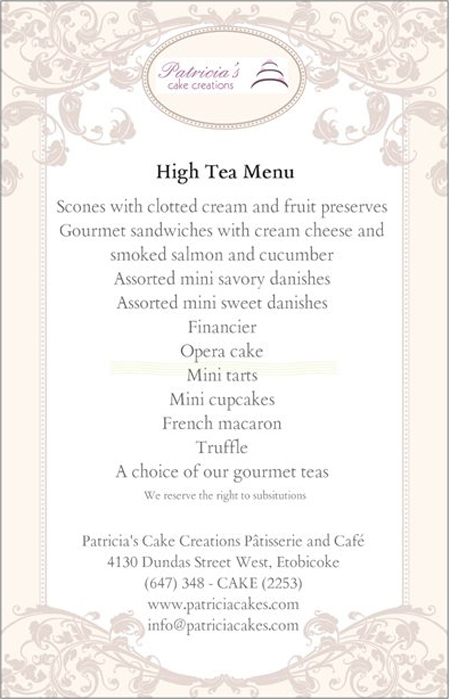 Celebrate mom for all that she does with a gourmet high tea at Patricia’s Cake Creations! From buttery scones to delicious finger sandwiches and our incredible tourtiere (Quebecois meat pie) It’s not to be missed! Seating at 11am and 2pm with reservations required! Our special treats will also include our signature crepe cake and quiche leaving you full and with boxes of goodies to take home! Every mom will receive a special present from us! Available packaged to go as well! Mother’s Day cakes also available! 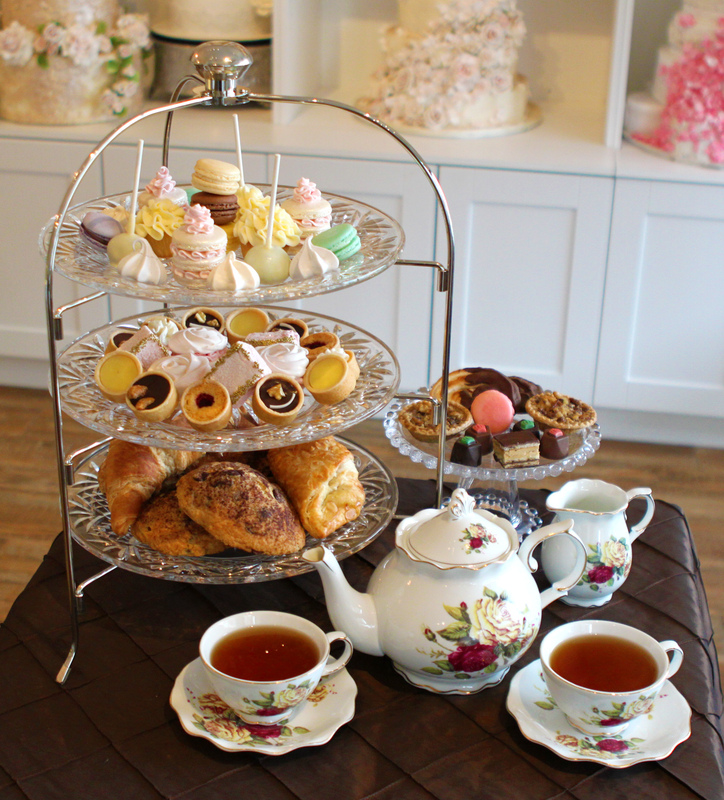 Call us at (647) 348 – CAKE (2253) to make a reservation or order!